1. Eolchiyan S.A., Potapov A.A., Van Damm F.A., Ippolitov V.P., Kataev M.G. Kraniofatsial'naya travma. Klinicheskoe rukovodstvo po cherepno-mozgovoi travme. Pod red. A.N. Konovalova [Craniofacial trauma. Clinical guidelines for traumatic brain injury. Ed. A.N. Konovalov]. Moscow, 2002. p. 313−364. 2. Konovalov A.N., Potapov A.A., Likhterman L.B. Rekonstruktivnaya i minimal'no invazivnaya khirurgiya posledstvii cherepno-mozgovoi travmy [Reconstructive and minimally invasive surgery of craniocerebral injury]. Moscow, Izd-vo IP «T.A. Alekseeva», 2012. 319 p.
3. Kravchuk A.D. Rekonstruktivnaya i maloinvazivnaya khirurgiya posledstvii i oslozhnenii cherepno-mozgovoi travmy. Avtoref. dis. …dokt. med. nauk [Reconstructive and minimally invasive surgery consequences and complications of traumatic brain injury. Author’s abstract]. Moscow, 2000. 4. Okhlopkov V.A. Dlitel'naya posttravmaticheskaya bazal'naya likvoreya (klinika, diagnostika, lechenie, katamnez). Avtoref. dis. …kand. med. nauk. [Long-term post-traumatic basal liquorrhea (clinical features, diagnosis, treatment, catamnesis). Author’s abstract]. Moscow, 1996. 158 p.
5. Potapov A.A., Likhterman L.B., Kravchuk A.D. Khronicheskie subdural'nye gematomy [Chronic subdural hematoma]. Moscow, Antidor, 1997. 231 p.
6. Yakovlev S.B. Arteriovenoznye fistuly golovy i shei. Avtoref. dis. …dokt. med. nauk. [Arteriovenous fistula of the head and neck. Author’s abstract]. Moscow, 2008. 463 p.
7. Kravchuk A., Potapov A., Kornienko V., Eropkin S., Panchenko V., Evseev A., Stuchilov V. Computed modeling in reconstructive surgery for posttraumatic skull vault bone defects. Neurotrauma (Eds. A. Potapov, L. Likhterman, K. R. H. von Wild). 2002. p. 187−190. 8. Krishnan K.G., Müller A., Hong B., Potapov A.A., Schackert G., Seifert V., Krauss J.K. Complex wound-healing problems in neurosurgical patients: risk factors, grading and treatment strategy. Acta Neurochir (Wien). 2012; 154 (3): 541−54. [Epub 2011 Nov 23]. 9. Potapov A., Likhterman L., Kravchuk A. Evolution of surgical treatment of chronic subdural hematomas. Recent Advances in Neurotraumatology, Springer Verlag, Tokyo. 1995. p. 110−112. 10. Gavrilov A.G. Diagnostika i taktika lecheniya bazal'noi likvorei v ostrom periode cherepno-mozgovoi travmy. Avtoref. dis. …kand. med. nauk [Diagnosis and treatment strategy basal liquorrhea in acute traumatic brain injury. Author’s abstract]. Moscow, 2003. 156 p.
11. Likhterman L.B., Potapov A.A., Serbinenko F.A., Kravchuk A.D., Okhlopkov V.A., Lysachev A.G. Classification and modern concepts of surgical complications and consequences of traumatic brain injury. Neirokhirurgiya – Neurosurgery. 2004; 1: 34−39. 12. Potapov A.A., Likhterman L.B., Zel'man V.L. Dokazatel'naya neirotravmatologiya [Evidence neurotraumatology]. Moscow, Antidor, 2003. 517 p.
13. Tagliaferri F., Zani G., Iaccarino C., Ferro S., Ridolfi L., Basaglia N., Hutchinson P., Servadei F. Decompressive craniectomies, facts and fiction: a retrospective analysis of 526 cases. Acta Neurochir (Wien). 2012; 154 (5): 919−26. 14. Grant F.C., Norcross N.C. Repair of cranial defects by cranioplasty. Ann Surg. 1939; 110: 488−512. 15. Dujovny M., Evenhouse R., Anger C. Pre-formed prosthesis from computed tomography data: repair of large cranial defects. Calvarial and dural reconstraction: Neurosurgical topics. Rengachary S., Benzel E., ed. AANS Publ Com. 1998; 7: 77−87. 16. Kravchuk A., Potapov A., Kornienko V. Cranioplasty: optimal implant material and moulding technology (20 year experience). Joint meeting of the French and Russian Societies of neurosurgery. Caen, France. 2006. p. 83. 17. Potapov A.A., Eropkin S.V., Kornienko V.N., Arutyunov N.V., Yeolchiyan S.A., Serova N.K., Kravtchuk A.D., Shahinian G.G. Late diagnosis and removal of a large wooden foreign body in the cranioorbital region. J. Craniofacial Surgery. 1996; 7 (4): 311−314. 18. Potapov A., Yeolchiyan S., Tcherekaev V., Kornienko V.N., Arutyunov N.V., Kravtchuk A.D. Removal of cranioorbital foreign body by a supraorbital-pterion approach. J Craniofac Surg. 1996; 7 (3): 224−227. 19. Antonov A.N., Evseev A.V., Kamaev S.V., Kulakov V.B., Kotsyuba E.V., Markov M.A., Novikov M.M., Panchenko V.Ya., Semeshin N.M., Yakunin V.P. Lazer stereolithography - technology layered fabrication of three-dimensional objects from liquid photopolymerizable compositions. Opticheskaya tekhnika – Optical technology. 1998; 1 (13): 5−14. 20. Joffe J.M., McDermott P.J., Linney A.D., Mosse C.A., Harris M. Computer-generated titanium cranioplasty: report of a new technique for repairing skull defects. Br J Neurosurg. 1992; 6 (4): 343−350. 21. Kotsuba E.V., Evseev A.V., Kamayev S.V., Markov M.A., Novikov M.M., Panchenko V.Ya., Semeshin N.M., Yakunin V.P. Operative fabrication of plastic copies of objects using x-ray tomography data. Proc. of 8th European Stereolithography User Group Meeting, 7−8 October 1996, Darmstadt, Germany. 22. Eolchiyan S.A., Potapov A.A., Serova N.K., Kataev M.G., Sergeeva L.A., Zakharov V.O., Van Damm F.A. Reconstructive surgery cranioorbital damages. Voprosy neirokhirurgii – Questions of neurosurgery. 2011; 75 (2): 25−40. 23. Limberg A.A., Danilevich M.O., Lezhnev K.K. Aktual'nye problemy optimizatsii spetsializirovannoi meditsinskoi pomoshchi postradavshim s sochetannoi cherepno-litsevoi travmoi. Sbornik nauchn. trudov, posvyashchennykh 70-letiyu NII SP im. I.I. Dzhanelidze i 20-letiyu otdela sochetannoi travmy [Actual problems of optimization of specialized medical care to victims with combined craniofacial trauma. Collection of Scien. works devoted to the 70th anniversary of the Research Institute of the JV them. II Dzhanelidze and the 20th anniversary of associated injuries]. St. Petersburg, 2002. p. 153−171. 24. Zeme S., Gerbino G., Benech F. Decision making in frontobasal injuries. Quality management in head injuries care. Eds L. Gonzales−Feria, K.R.H. von Wild, H.E. Diemath. Servicio Canario de Salud. 2000. p. 83−91. 25. Potapov A.A., Okhlopkov V.A., Kravchuk A.D., Likhterman L.B. Posttravmaticheskaya bazal'naya likvoreya [Posttraumatic Basal Liquorrhea]. Moscow, Antidor, 1997. 128 p.
26. Lopatin A.S., Kapitanov D.N., Potapov A.A. Spontaneous CSF leaks and meningoencephaloceles: endoscopic repair and possible etiology. Otorhinolaryngology Clinics: An International Journal. 2011; 3 (3): 1−5. 27. Kapitanov D.N. Vnutrinosovye endoskopicheskie metodiki v diagnostike i lechenii patologii osnovaniya cherepa. Avtoref. dis. …dokt. med. nauk [Intranasal endoscopic techniques in the diagnosis and treatment of diseases of the skull base. Author’s abstract]. Moscow, 2004. 215 p.
28. 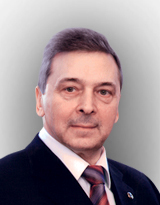 Serbinenko F.A. Balloon occlusion of the cavernous carotid artery as a method of treatment of carotid-cavernous fistulas. Voprosy neirokhirurgii – Questions of neurosurgery. 1971; 6: 3−9. 29. Kravtchouk A.D., Likhterman L.B., Potapov A.A., El-Kadi H. Postoperative complications of chronic subdural hematomas: prevention and treatment. Neurosurg Clin N Am. 2000; 11 (3): 547−552.